Straddling the border of South Africa and Botswana, the Kgalagadi Transfrontier Park is known as one of the jewels of the desert featuring an expansive wilderness scattered with grasslands and red dunes. 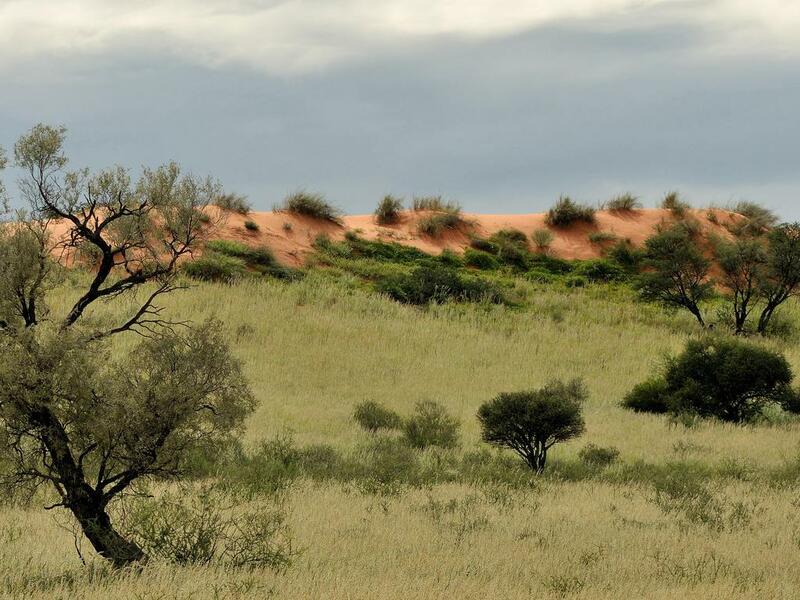 For a different type of wildlife experience, many tourists head to this northwestern corner of South Africa, where the famous Kalahari Desert or, as it is now known, the Kgalagadi, starts. The park is renowned for its predator and raptor viewing, and not surprisingly, its gemsbok, also called oryx; the elegant grey, black and white antelope with their rapier-like horns. Visitors can look forward to many activities including: watching the migrating herds of wildebeest and springbok, spotting other wildlife on a game drive or walking through the African bushveld on a guided walking safari with a park ranger.